A very simple design but effective - especially in person. 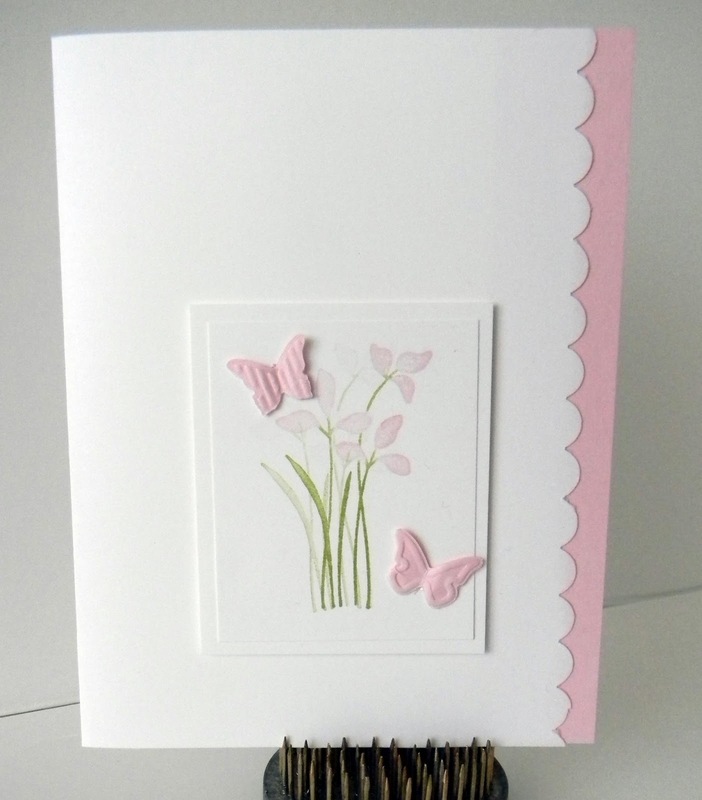 I saw this layout on Pinterest and changed the stamp as well as the punch design along the edge of the card. This is one of the designs we will be making in my Simply Stamped Cards class this week. Just Believe stamp set is retiring. June 3, 2013 is the last day this set will be available.